MDM Landscapes provide professional landscaping and lawn care services in Dallas-Fort Worth, TX and we’d be happy to take care of your lawn as well. Commercial property owners who manage apartments or residential properties need lawn care in order to maintain the look of the property. We are able to help our clients with a wide variety of services, so be sure to give us a call 817-396-0125. We are your experts for lawn care services in the DFW area. As a commercial property owner, apartment complex manager, or developer for residential properties, you want nothing more than to have a lawn that looks lush and healthy. Unfortunately, you don’t have time to take care of the lawn services due to the size of the property or lack of time. Because your business is a part of your brand, you want your lawn to be a reflection of your company. At MDM Landscapes, we are able to work with commercial property owners, managers, and developers to keep their lawns looking beautiful and well-kept. Our specialists take care of everything, so you can have a well-maintained and manicured lawn. There will never come a time when you have to use a mower or spend money on gas, as well have the manpower and equipment to take care of it. Our process begins by cutting your lawn. We then edge along your sidewalks, pathways, and other hardscaping, while using the trimmer to cut away other high grassy areas. Last but not least, we blow away grass to give your lawn a clean look. These are some of the lawn care services in Dallas-Fort Worth, TX that we offer. Our weekly service is advisable. However, we do have a bi-weekly service that is also available. Scheduling your lawn service on the same day each week will help maintain your lawn and keep it looking beautiful. If you need these or any other lawn care services in Dallas-Fort Worth, TX, please call MDM Landscapes today at 817-396-0125. 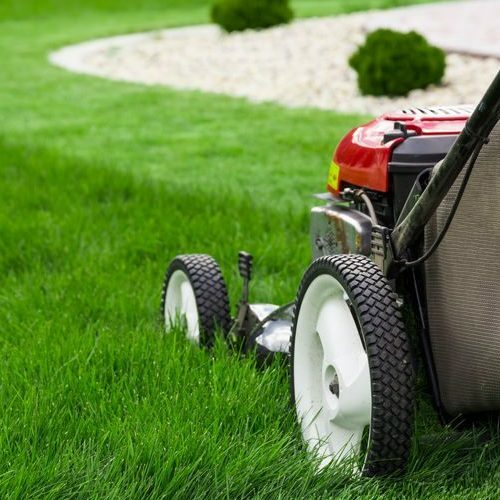 We are able to offer other landscaping services, so if you are interested in taking your lawn to the next level, you can call us for the top lawn care services in the DFW area. Updated on March 8, 2019 at 9:06 am by MDM Landscapes.